Shown before work with asst trainer Jack Sisteson on Satire. Nyquist with Jonny Garcia works 5 furlongs in 1:02 3/5. 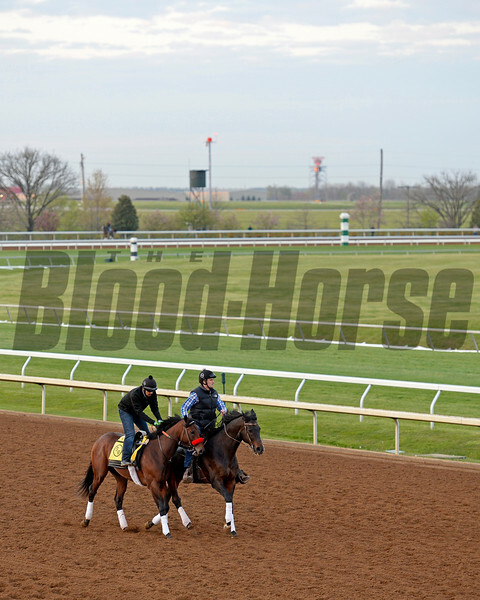 Morning works and scenes at Keeneland in Lexington, Ky., on April 15, 2016.